Our students are going on a world tour exploration of art and culture! With a focus on creating art from around the world, students are gaining much more than a hands-on art making experience. They are learning to ask thought-provoking questions and strive for a greater depth of learning. They are expected to guide the discussion and listen to each other- not me. I am in the process of learning better ways to get my students talking and listening to each other. Every day I am reinventing and improving the structures that guide student lead dialogue so that ultimately my students will be doing most of the talking. This is a challenge I would recommend taking. What has worked well? 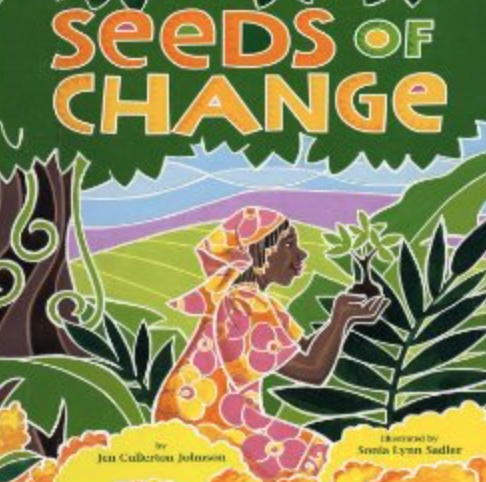 Using culturally diverse texts like, “Seeds of Change” to promote student voice and dialogue. Discussing the story of Wangari Maathai, the world-renowned winner of the Nobel Peace Prize for her work with the Green Belt Movement in Kenya. This is a story about how she worked to restore the environment, promote social justice and women’s rights. Listening to this story has been a great launching point for discussion for my students. The book has opened an engaging dialogue among my 3rd graders who have been encouraged to ask questions during the read-aloud. Their questions during the read-aloud created an awareness of women’s rights, human rights and education that students may not have previously considered. This book is tied into a collaborative art project that students are creating. They are making a “Peace Tree” based on African textile patterns and incorporating their ideas of ways they can help the environment now or in the future in honor of Wangari. Using video clips also added new splash of real-life to art. We watched this one today about Wangari Maathai- Planting Trees Is Planting Hope. Over the next month as we continue working on exploring the world through art, I hope to hear more questions like the ones I heard today from my kindergarten students. As they watched a short video on YouTube before they began to create elephants based on the Elephant Festival in Jaipur City, they had their own dialogue among themselves that I was able to take in and observe. 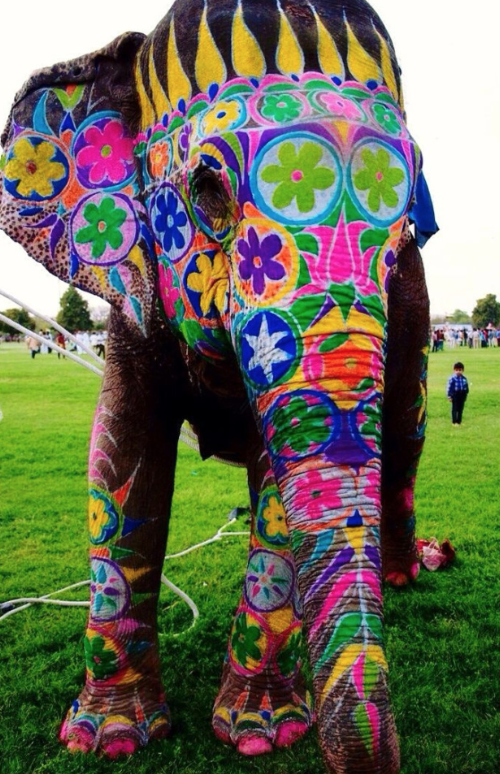 They wanted to know everything from how big the elephants were, to why they are part of this festival and who painted the colorful designs that adorn the powerful animals. The product of this learning is for students to create a school-wide art display in May showcasing art that represents a country and a particular artistic tradition or culture. Beyond that my hope is for students to begin thinking globally and understanding other cultures through art. Art and culture go hand in hand and already students are beginning to wonder what country every grade level is focussing on. They are expressing interest in learning about their own culture and others that are not familiar. They are finding similarities and difference among the works of art that each grade level is creating as they spy on the drying rack searching for what the class before made. They are asking if we can make art from the countries where their families are from and sharing where they are from with each other. We could spend an entire year learning about the culture and art from all the countries represented in our school community and still not be able to cover all of them. This is just the beginning in our world tour. It will culminate at the end of May when we have our Interactive Art Night but the best part is the process.